Gel mediums produce a variety of textural and impasto effects. Used alone or mixed with acrylic colors. Types include Ceramic Stucco, Black Lava, Light Modeling Paste, and Glass Beads. 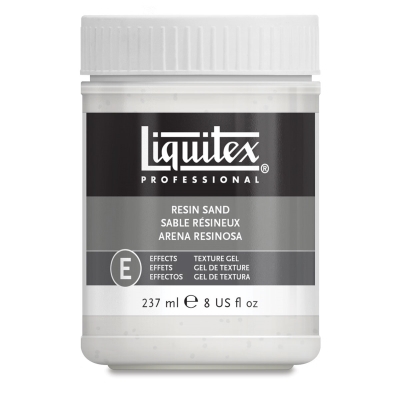 This is a thick, coarse, texture gel that contains aggregates of various sizes. It dries to a rough cement look and will retain its texture when mixed with paint. 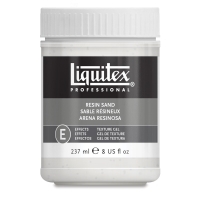 Also an excellent ground for acrylic and oil paint.